Who Jr. High School yearbook staffs and their yearbook advisers. Online Registration Register online. By registering online, your space will be reserved instantly. This workshop offers to you and your staff a great opportunity to get a head start on next year’s book, and is perfect for new and returning advisers, to either learn the basics or to see the latest trends in design, while their staffs have fun and learn everything they need to know about yearbooks. The Houston Office of Balfour's Publishing division takes pride in offering leading instructors year after year. Each session provides the opportunity for competition and awards. The three-day line-up includes lunches, entry to all sessions, and a workshop t-shirt. Students who would like to stay on campus may choose the overnight option, which includes all meals. Create an energized and organized team for the production of your 2020 yearbook. Dynamic training for your junior high staffs in headline, body, and caption writing; design; organization; trends; marketing; and photography; facilitated by leaders in contemporary student journalism. Advisers will receive training on grading, staff motivation, and meeting deadlines. 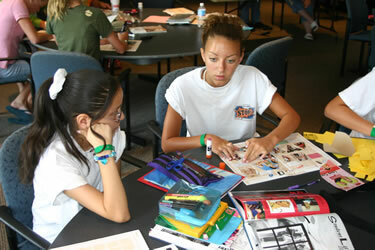 Credit This workshop is certified by the Texas Education Agency (TEA). Each attending adviser will receive a certificate for 21 TEA-certified hours. Overnight option includes double occupancy room; and breakfast, lunch, and dinner. Overnight students must be accompanied by at least one school-approved chaperone. For overnight participants, all registration details, including roommate assignments, must be finalized no later than end-of-business-day Wednesday, May 15, 2019. For commuting students, lunch is provided. Workshop T-shirts are provided for all students. We must receive payment within 30 days of online registration, or your registration may be cancelled. Advisers with eight or more registered students receive a $50 discount. For refunds, a $30 cancellation fee will be deducted from each refund requested after Friday, May 03, 2019. All checks should be made payable to "Balfour Yearbooks".